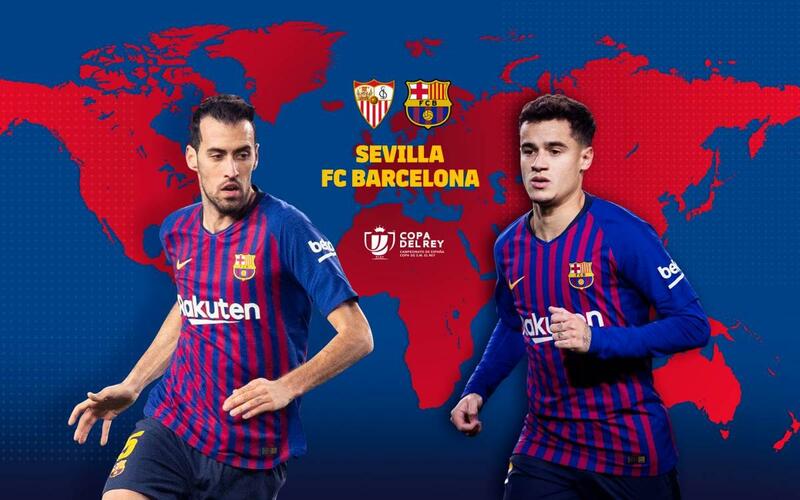 The Cup is back, with Barça heading to the Ramón Sánchez Pizjuán to play the first leg of their quarter-final against Sevilla. It’s a 9.30pm kick off local time, and this guide will help you to work out what time it will be starting in your part of the world. We also list the different broadcasters that hold the rights in each country. However, we cannot guarantee that any of these are actually showing the game, so please check their listings to be sure. If you can’t see the game for whatever reason, then don’t forget that we have live English language commentary on Radio Barça along with updates on all the latest developments in real-time at our Match Centre on this website.